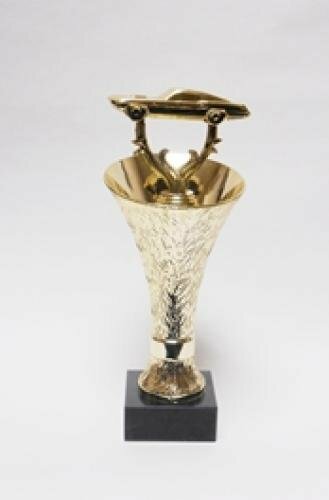 Trophy featuring a figure of your choice on a gold cup riser and a genuine marble base. Choose your figure to customize this trophy for any sport, academic achievement, or recognition occasion. Simply add this trophy to your shopping cart and use our unique trophy builder technology to customize your trophy. Overall height of the trophy depends upon trophy figure selection. CONTACT US IF YOU DON'T SEE THE FIGURE THAT YOU ARE LOOKING FOR!